This one was blue and happy! This was my fave page. I've started painting more in my books. It takes a lot more time and patience but it is always worth it! Pretty, right! I am working on a super fun post of my fave things for summer. So stay tuned! 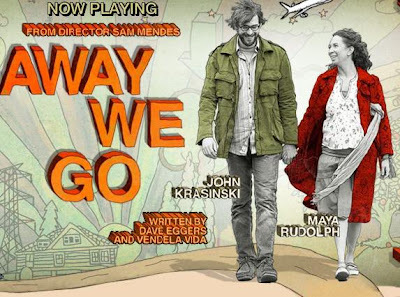 We went to see Away We Go! It was really good. One of those movies that makes you think and not necessarily about the movie itself, it is just a thought provoker if that makes any sense at all. Maybe it was just the mood we were in... I donno either way we liked the movie and had the best life conversation after. I love those. My sis and her hubby are headed to vaca in Costa Rica. I am like 60% jealous and 40% happy for them. Ah maybe 70/ 30 but who's counting! HAVE FUN GUYS! Take lotsa photos and wear your sunscreen. Faves for summer (and a discount offer for my readers)! He came, He TRI-ed, He conquered!